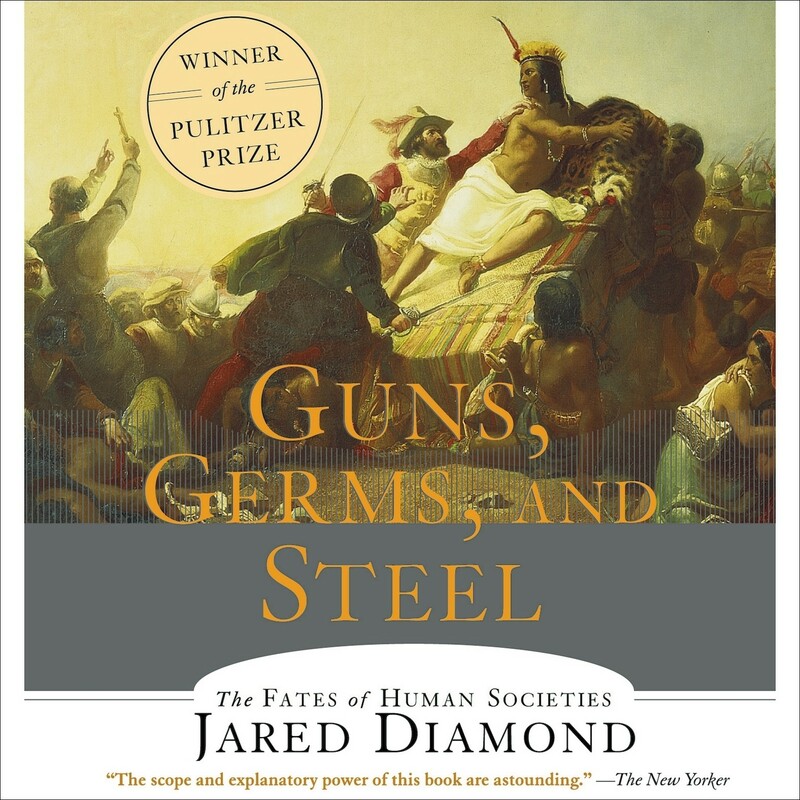 The main theme in the book Jared Diamond “Guns, Germs, and Steel” is the history of cultures and societies and their place in that history. In 1998, the book won the prize for a nonfiction book and was the national best seller that year. Diamond caught the attention of the public through his book with a fascinating account of more than 13000 years of human race evolution and development. The author argues that while cultural or genetic make-up has favored Eurasians regarding resistance to endemic diseases and development of writing earlier than on the other continents, these advantages occurred due to the impact of geography on civilizations and values; therefore, they are not inherited by the Eurasian genomes (Diamond 16). Diamond’s thesis is that geography and the environment are important factors in shaping the world into a better place. He expounds on this phenomenon during his field research in Guinea. While he was there, one of his New Guinean friends asked him one question. In the book, he tries to answer Yali’s question “Why did the white people develop so many guns and brought it to Guinea while the blacks had little cargo of their own?”. The cargo referred to in this text is technology. The technological tools and machinery include computers, cell phones, Internet, and simple tools such as the axes and accessories. At that time, Africans were using stone tools; Diamond tries to analyze the factors that lead to the between one culture and another (Diamond and Merrett 801). To find the answer, Diamond examines millions of years of history mapping the migration of humans from Africa to Eurasia, from Asia to Pacific Ocean islands as well as from Serbia to America. He tries to follow humans as they evolved biologically and comes up with a conclusion based on a specific representation of the society. To expound on the differences that existed between the developing countries, he emphasizes the effects of technology, food production, religion, and government. He further demonstrates his opinion as to why the differences among the various cultures occurred. He states that geography is the main reason leading to the cultural disparities as opposed to biology or race as other scientist viewed it (Costanza and Diamond 828). To stress his point, Diamond recounts his talk with Yali, a New Guinean politician, who was concerned about how Europe managed to produce goods for export while they could not. He also notes that the same question can be applied to other continents. Eurasia produced people who dominated the world in wealth and power even after the other people had regained their independence from their colonizers. Such countries, despite their numerous resources, still lag behind the Eurasians in wealth and power being subdued and devastated (Diamond 17). The first chapters that focus on food production are the most interesting in the book to read. However, it is not obvious. I was a little bit reluctant to pay much attention to reading the chapters; however, the domestication of wheat and Diamond’s exploration of natural selection and human interventions is surprisingly compelling. He further discusses more wildlife and factors that made large mammals more susceptible to domestication than others, for example, comparing sheep with lion. The distribution of domestic animals is the most important revelation found in the book (Diamond and Merrett 803). Jared Diamond’s presentation of a nice coherent case study of the western civilization is rich enough because of abundance and adequacy of food crops and domestic animals. The Africans had enough food to eat and animals which led to their civilization and modernization. The geography also facilitated the migration and the spread of these skills and people across the communities. Diamond regarded the effects of geography and natural biology as important to the growth and development of civilization among the people (Diamond 17). The title of the book refers to the means by which agricultural societies conquered people from other continents and dominated them despite being out-numbered. The guns were superior weapons, hence providing military superiority. The Eurasian diseases (germs) killed those who had no immunity hence made it easy to control others, and steel provided a reliable mode of transport that led to imperialism. The best examples, which Diamond gives of this phenomenon, lay in the contest between Eurasia and the Americans. Diamond puts into consideration the tremendous contacts between Europe and China (Diamond 16). He states that these contacts were not all one way. Though the evidence is available from the times of early food production, Diamond states that successive millennia would see innovations in the east and west countries. Native Americans failed to engage in any analogous cultural and technological exchange even with the civilization of Mesoamerica and Peru; thus, they were unable to link up to one of the domestic animals (Reyhner 14). In Chapter One, Jared Diamond explains how a human being came into existence and covers the major jumps of its development. He states that human being started evolving from monkeys in Africa. Those individuals developed certain things suddenly instead of learning them gradually. I agree with this idea, because man was scientifically proven to have evolved from monkeys. In Chapter Two, Diamond describes the influence of climate and geography on civilization. Appropriate climate and geography enhances development of civilization. He further states that having many resources can be more helpful to a larger group rather than a small group. Chapter Three of the book analyzes how the Incan Empire was captured and how the Spanish people’s germs led to losses of life. Almost 95 percent of Incans in South Americans were killed due to the emergence of new germs while the rest died because of Spanish superior weaponry (Diamond 18). In Chapter Four, Diamond explains the existence of food production and farming and the occurrence of domestication of animals. He states that the majority of food came from the farmers who grew and raised animals. Food crops appeared from the mutation of other crops, and animal domestication lead to a man living a more settled live and forbidding hunting and gathering. Chapter Five describes how food production was developed only in certain areas and then spread to other places. For the people of a certain part of the world, to be more intelligent than those in other parts of the world, they need to develop food production first. The author explains in this chapter that food production was not developed in the most fertile places first. Only the easiest and the simplest animals and plants were the first to be introduced and domesticated by man. Chapter Six tries to answer the question why hunters and gatherers had to adopt food production. Chapter Seven and Eight describe some of the crops adopted by the early man. The characteristics of the people of Yali are described in the Chapter Fifteen. Further, he explains the why the Africans and analyses the future of human race in chapter Nineteen. (Diamond and Merrett 804). I concur with Diamond’s argument that geographic, climatic, and environmental factors favored timely development of stable agricultural societies (Eurasians 828). This ultimately led to developing the immunity for endemic diseases in domestic animals as well as the development of authoritative, ordered states capable of ruling others. However, this theory is outdated in the sense that presently, other continents have strengthened both socially, economically, and politically. Although Europe still has the most influential nations in the world, their powers have drastically reduced. Diamond overplays his hand in various ways. The book’s aim is to repudiate the claim that western civilization has superiority. Most of his discussions have political aims; as a result, he turns against cultural arrogance. He does not base his discussion on the possible and likely effects. Jared Diamond ignores half of the story of civilization such as the cultural institutions, tradition, and religion. However, he represents his half well. Geographical location and environment shape societies, not race, or biological set-up. The argument by Jared Diamond is very persuasive and successful. Although the book is long, I actually have spent most of my time reading it as it is very interesting (Diamond 17). Jared Diamond argues that both environmental and geographical factors lead to reshaping and change of the today’s world. In terms of environment, he claims that the communities and societies that started food production were ahead of others. They advanced beyond those communities that were hunters and gathers. As a result, religion developed as well as vile germs and powerful war weapons. Adventure on land and sea made it possible to conquer the less fortune and primitive cultures and communities (Reyhner 15). Another difference leading to civilization among communities was the orientation of the continents. “Guns, Germs and Steel” is an informative, delightful, and artful book full of surprises. Diamond’s main concern is the rejection of any racial explanation on the differences that occur in material culture between different regions in the world. He argues that there are no essential differences in intelligence between any races. Only those who are able to survive harsh conditions, as Guinea, can emerge intelligent. Costanza, Robert, and Jared Diamond. “Guns, Germs, and Steel: The Fates of Human Societies.” BioScience 1999: 828. Print. Diamond, J. “Guns, Germs, and Steel: The Fates of Human Societies. W.W Norton. 1997. Print. Diamond, Jared, and Christopher D Merrett. “Debating Destiny: Nihilism or Hope in Guns, Germs, and Steel?” Antipode 35 (2003): 801–806.